An industrial setting with pipes wandering through and some windows to the outside world, it reminds me very much of DM-Zeto. A small/medium-sized map with some custom textures and an interesting layout, it certainly doesn�t disappoint. Though the wall/floor/ceiling texturing is a little bland, it serves to enhance the texturing on the pipes which makes one notice them more than one normally would. It�s a fine addition to the UT map universe. A solid atmosphere well-grounded in the theme it presents as an industrial complex with two floors. The architecture seems solid and unmoving and faint machine hums add to the ambiance. 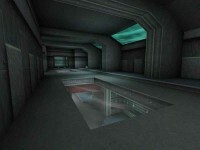 The pipes wandering through the entire level give the impression that one is underneath a large industrial complex of which the player only gets to see a little part of. 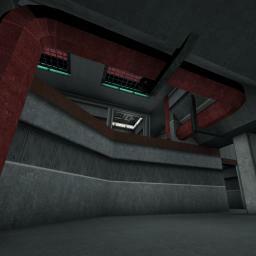 The textures are all well aligned even on the ramps and curved sections. On the down side, the walls floors and ceilings are all the same/similar so it seemed a little repetitive. The lighting is a bit too ambient but there are some nice coronas and soft shadowing to off-set the drabness. The glass windows, and a few times floors, and the pipes really round out the theme. 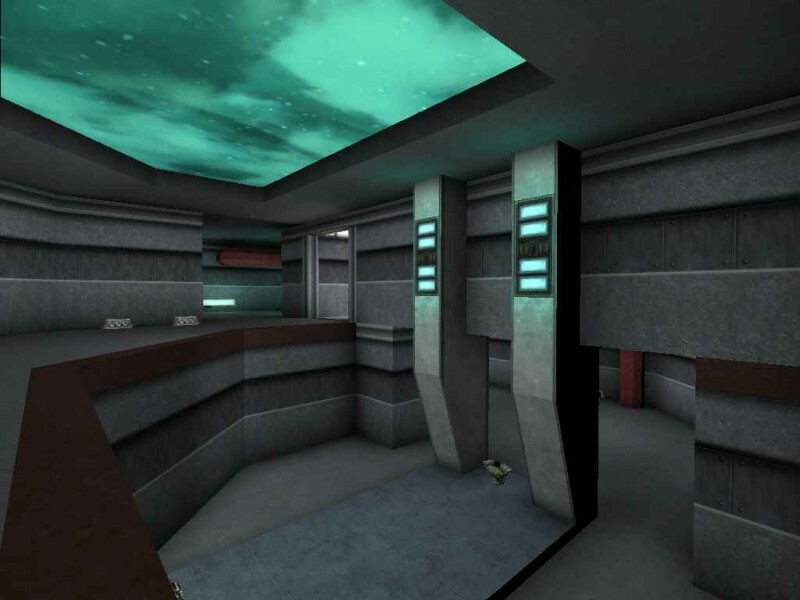 Looking out of the level at the skybox and sometimes looking from in the level to another portion of it really helped break up the texture repetitiveness and was implemented well. There was one constant steam blast from a pipe and it too, helped round out the theme but I was able to see the sharp lines where the texture ended on each side of the effect. Also, the skybox had a scrolling cloud effect and although the texture fit well, it was moving too fast in my opinion. Overall there�s not much to point out. Despite being a little repetitive, a little too evenly lit, and the skybox being a little too fast the atmosphere is spot on, but a little uninspiring. All the brushes are solidly put together. The pipes were all aligned well and the glass fit into its frames well. The music was stock but fit nicely. 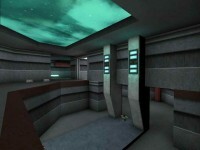 The only downside was that it could be a little FPS heavy at times but not an amount that would render the map unplayable � perhaps only on extremely old machines. I did not get stuck anywhere and the map flowed well overall. There was a faint machine hum in places. Really there�s not much to complain about. If there had been a few more sounds or some variety therein, this would have been a three. Nice work! The one bot in the default map count put up a good fight with easy access to weapons for both it and me. I didn�t see it hanging around in any one place too often. It also took advantage of the secret shield before I could. The flow of the map is great with plenty of opportunities to get a jump on your opponent from above. It was very easy to move between the floors and was nice to sometimes see the bot through the glass and know you couldn�t get it right away. The weapon placement was pretty well done with the weapons spaced out reasonably and it wasn�t difficult to get to any of them once I spawned. The only thing I would have wished for was yet another floor to spice it up even more, but this is a wish � not a complaint. This is a map that reminds me of why I got hooked on UT. 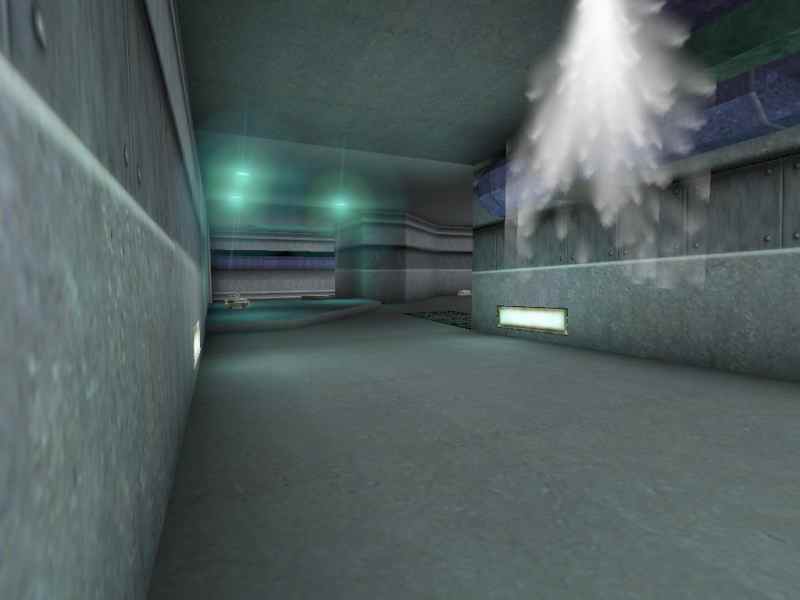 Despite its minimalistic atmosphere, texture blandness, and ambient lighting, it plays very well and conveys the industrial basement mood it tries to present. The flow is great and the bots will challenge you. If you�re more concerned with gameplay over visuals and for fans of the original UT, especially those of DM-Zeto, this is a must-get. This is a must have map, it's very playable map, and if you like industrial map, you must download this! Nice map,now this map should get a review. just better than most mappage. EDIT..quillion,,I thought the lighting was done very well,you sure it's not that directx your running. Architecture I thought was rather bland. A few pieces to show some skill, but wasn't implemented well enough. Lighting lacked contrast. Gameplay was ok, but I felt that the weapons were too close to each other, allowing players to grab a few weapons right away while others had nothing. It needs a whole lot more stuff, just seems very empty. The textures are very bland, flow is good. The skybox is rather nasty looking and the lighting, just didnt do it for me. The best feature of this map is its layout, it makes for a good game.